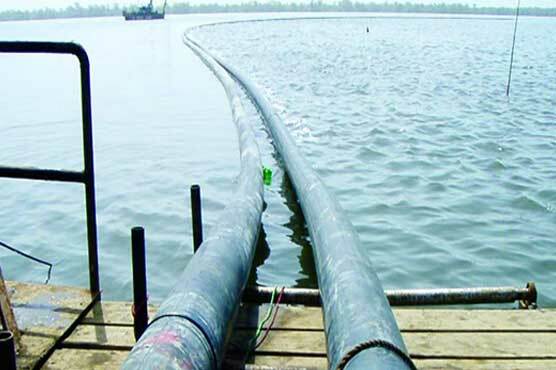 KARACHI: The water and drainage commission, mandated by the Supreme Court (SC), on Wednesday summoned the Chief Executive Officer (CEO) of K-Electric (KE) Tayyab Tareen. Led by Justice (r) Amir Hani Muslim, the commission said that the KE chief is expected to share steps taken by the institution remove the mesh of electricity wires passing through nullahs in different parts of the provincial capital. “The KE CEO should appear before the court on April 23,” said Justice (r) Muslim. Justice (r) Muslim ordered the Karachi Metropolitan Corporation officers to immediately clean the stormwater drains and remove encroachments around them. During the hearing on Tuesday, the commission had expressed displeasure over the non-completion of the cleaning drive and directed Akhtar to immediately start working on cleaning all the storm-water drains. On April 16, Justice Muslim had reprimanded the KWSB Managing Director Khalid Sheikh for failing to ensure the provision of water to people in the city. The commission questioned the KWSB MD about the water crises in the city. “Do you read the newspapers? People are hurling abuses at you. Water isn’t available in areas neighbouring hydrants. People install water lines, but they still don’t get water,” remarked Muslim. He said that it is the KWSB;s responsibility to provide water to people and that they have destroyed the process of water distribution.